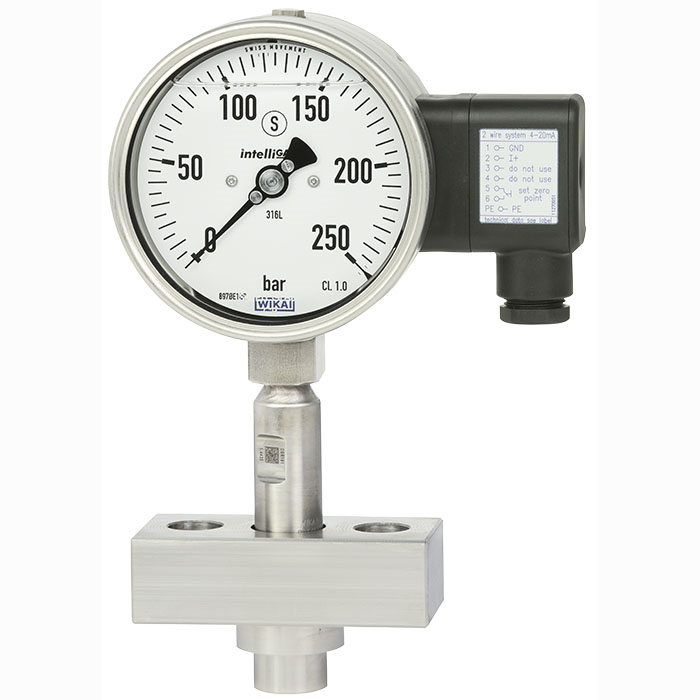 Diaphragm seals are used for the protection of pressure measuring instruments in applications with difficult media. In diaphragm seal systems, the diaphragm of the diaphragm seal effects the separation of the instrument and the medium. 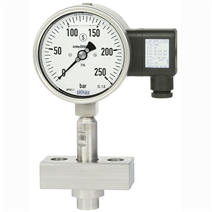 The pressure is transmitted to the measuring instrument via the system fill fluid which is inside the diaphragm seal system. The model 990.30 diaphragm seal is a special development for homogeniser machines in sanitary applications. This diaphragm seal is available with process connections in various designs and is thus suitable for all common measuring points. The diaphragm seal systems ensure reliable measurements, even with high loading through vibrations and pressure spikes. Mounting of the diaphragm seal to the measuring instrument may be made via a direct connection or a flexible capillary. For the material selection WIKA offers a variety of solutions, in which the upper body of the diaphragm seal and the wetted parts can be made of identical or different materials.